Like many of our Honeycomb parents, Jennifer was searching for ways to get her entire family involved in public service, but ran into issues with age restrictions. Jennifer knew many organizations need all the help they can get, and knew kids are capable of lending a hand at any age. “Honeycomb fills such an important need in our community – they make it possible for kids and families to volunteer together, they make it easy, and prove that it can be fun all at the same time!” One of Chung’s favorite projects is our “Feed Hungry Families” project, in which Honeycomb volunteers directly interact with and distribute food to families who are experiencing food insecurity. The experience of working hard to bring smiles to those hungry families was a very powerful one. Jennifer said that projects like these spur family conversations about the tough issues the city of Chicago faces and the importance of being empathetic to those in need. Outside of Honeycomb, the Chungs love to spend quality time together traveling, playing sports, enjoying family-nights at home and exploring the outdoors. In addition to volunteering with Honeycomb as a family, Jennifer joined us as a Project Leader back in 2014. She leads many of our hunger projects and will manage our school garden events this summer. 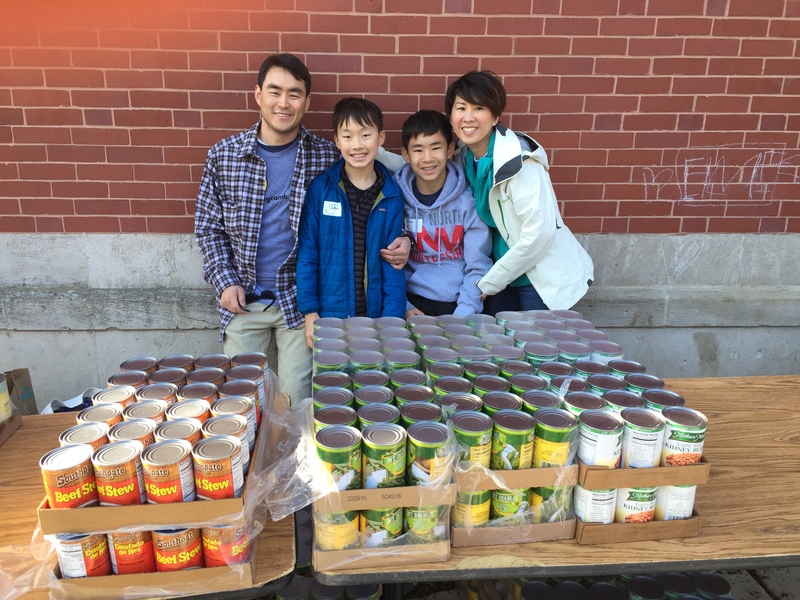 Thank you Chung family – we really value your participation in The Honeycomb Project!